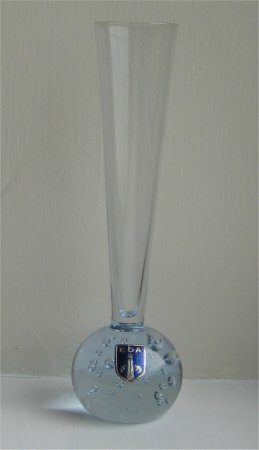 This pale blue based vase is approximately 143mm (5 5/8ths") tall. 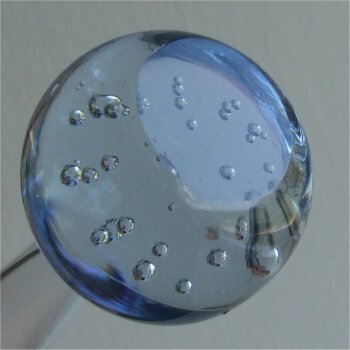 It has large random bubbles in the base. The bottom of the base has a flat and polished finish. The stem is clear and has a wide flare of approximately 30mm (1 1/8ths of an inch) across the top. 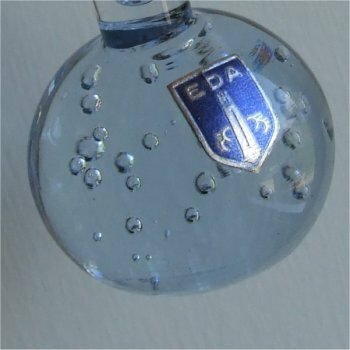 The label is a shield shape and a metalic blue colour and states "EDA" (see images below). Eda is in Sweden.